KAMPALA – Police Flying Squad Unit in Jinja District have put out of action three armed robbers that attempted to rob a businessman at Masese, Jinja Municipality on Friday. 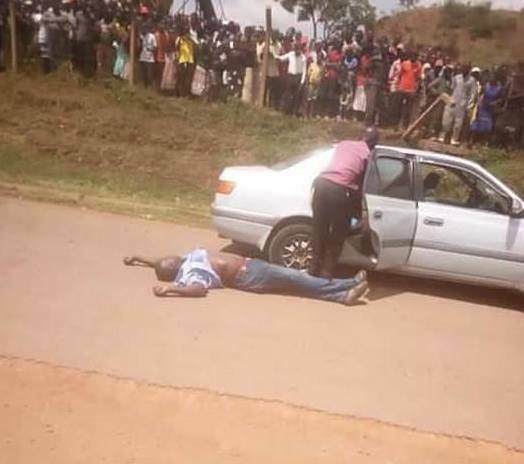 According to Diana Nandawula, the Kira Region Public Relations Officer, the robbers were travelling in a Toyota Premio Reg. No. UAP 449S and armed with AK 47 assault rifle. The AK 47 rifle and the Toyota Premio have been recovered. Bodies have been taken to Jinja Hospital mortuary. Only one of the deceased has been identified as Lukwago, others are yet to be identified.